problems such as overactive letdown, over-supply and low milk supply. and off" try offering the potty or toilet. confidence because she has a better sense of her baby's eliminations. but with EC we can see how much is coming out. *Breastfeeding is more efficient than artificial feeding- Breastmilk is digested better and used more efficiently by the body therefore the baby produces fewer eliminations. *Babies often eliminate while nursing so this can be an "easy catch". *Breastfeeding helps keep babies relaxed so they can eliminate better. 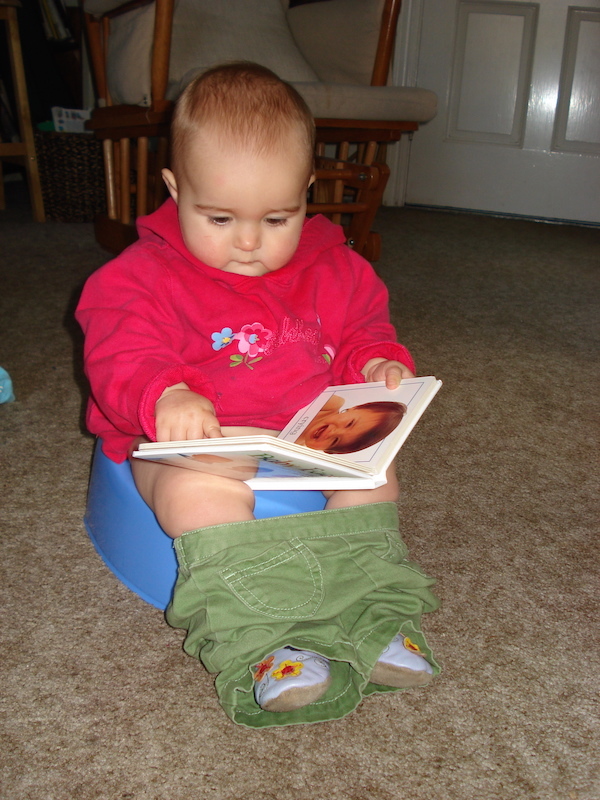 pee (babies usually don't pee in their sleep) or will keep baby relaxed enough to pee while nursing. multitude of digestive disturbances that disrupt eliminating. Breastfeeding reduces this. potty. You could say it is "pottying on cue". your milk supply and your number of catches. *Babies are active participants. Both EC and breastfeeding are cooperative. With EC your baby can purposely signal his elimination needs, show preference for a toileting place, and signal "no". With breastfeeding your baby may indicate interest, frequency, and can control the flow of milk. *Both reduce colic or unexplained fussiness.